The two teams involved in the first game of the second round round of fixtures in Group B will go into the match with very contrasting emotions following their first results of the group stages. Denmark head into the match riding the crest of a wave having sent shockwaves through the tournament with a surprise 1-0 win against a much fancied Dutch side. I had predicted a very open game between Denmark and Holland with the Dutch coming out on top in spite of my accompanying prediction that the Dutch might be end up falling at the first hurdle and being eliminated in the opening round of the Euros. On one hand I may be proved correct in that Holland are now right up against it in their bid to progress to the latter stages of the competition but on the other I got things very wrong indeed. The game did indeed begin in fairly open and fluent fashion with Holland on top but after Denmark took the lead against the run of play it became a story of Danish doggedness and Dutch frustration and stuttering. They may have lost out in nearly all of the statistic categories but Denmark deserved their win for their clinically finished goal from Michael Krohn-Delhi and the admirable determination and execution of their defensive plans. In stark contrast to the jubilation amongst the Danish fans, the Portugese players and fans will be left deflated following their 1-0 loss to Germany and the reason for their upset isn’t really down to a poor performance but more out of frustration that they couldn’t finish off a decent night’s work. Of course, Germany are a very good side and Portugal were the underdogs going into the match so one might think a narrow defeat wasn’t a poor result but in truth Germany seemed a little lacking and Portugal for the most part completely negated any threat that their opponents posed. Also, after Germany managed to break the deadlock Portugal came back strongly with a much more offensive approach and in the end probably should have got themselves a point with Silvestre Varela wasting the best of their late opportunities. So, there were several things for Portugal to be pleased with in their opening game but ultimately they were on the wrong end of the result and perhaps they are left ruing the fact that they left it so late to try and cause the German defence some problems. In tomorrow’s game I think Portugal will try to play more offensively and I wouldn’t be surprised to see Nelson Oliveira start in place of Helder Postiga in the wake of an impressive cameo against Germany. I think Portugal will win the game 2-0 and take themselves level on points with Denmark and in doing so they could blow the group wide open. When the draw was made for the Euros this game looked like the pick of the group matches. Not only does it see two of the pre-tournament favourites face-off at an early stage but it also renews one of European football’s most famous and most heated rivalries. 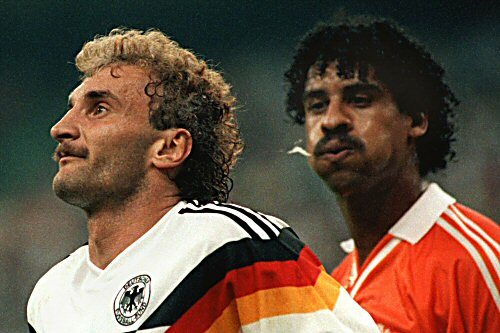 Gone are the days of Frank Rijkaard spitting in Rudi Voller’s mullet but the memories of such moments and the memories of some fine games of football still live on and how Germany would love to be the team that defeats the Dutch and in doing so effectively knock them out of the tournament in the very first round. In the opening games of Group B both Germany and Holland were under-par but the important difference between their respective opening results were that Germany took home three points against a decent Portugese side and Holland failed to take anything from their match against a Denmark side who many thought would end up propping up the rest of the teams in the ‘Group of Death’. Both sides will head into this one with a point to prove, Germany in terms of upping their performance level and Holland in terms of the desperate need to get at very least one point on the board and I think it will be a 1-1 draw. Hopefully this game will prove to be as much of a spectacle as previous encounters between these two great footballing nations. Both sides will head into their opening game with real optimism having both qualified for the Euros in very convincing fashion. Holland will be the favourites courtesy of their wealth of high profile and world class performers as well as being buoyed by their run all the way to the final of the World Cup in 2010 but they will have to be on their guard to avoid dropping points to a very decent Denmark side. The favourites to win the opening game of Group B are blessed with an attacking contingent that is the envy of most sides in international football and they will be heavily reliant upon the threat that this unit provides as their defence is by comparison a little weak. Denmark will have to be willing to attack Holland if they are to avoid defeat as it will be very difficult indeed to keep the Dutch’s attacking threat at bay for the whole of the ninety minutes. Their attacking burden may have to be shouldered by the promising Christian Eriksen whose pace and craft has caught the eye of many. I think this is a game which looks like it will contain a few goals as Holland’s ambitions are based upon their lethal attacking options and because Denmark will seek to exploit any weaknesses that their opponents may have in their rear-guard. I am going for Holland to win 3-1 but I expect Denmark to carry a decent threat throughout and to cause a few scares. In arguably the most anticipated match of the tournament so far we are likely to find out a little more about how far Germany’s youthful squad have come since the World Cup in 2010 and whether Cristiano Ronaldo will be supported strongly by his Portugese team mates in their quest to prove not only that they aren’t a ‘one man team’ but also that they have the ability to exceed expectations and qualify from the ‘Group of Death’. I think Germany are undoubtedly one of the stand-out teams in the tournament and I think their blend of youth, in the form of players like Mats Hummels, Mesut Ozil and Mario Gotze, and experience, in the form of players such as Philip Lahm, Bastien Schweinsteiger, Mario Gomez and Miroslav Klose, looks set to provide the platform for a genuine crack at winning the competition. Portugal on the other hand are being almost written off by many and they will be determined to prove that they do have a chance not only of progressing to the latter stages of the competition but also that they should be considered contenders to win the tournament. 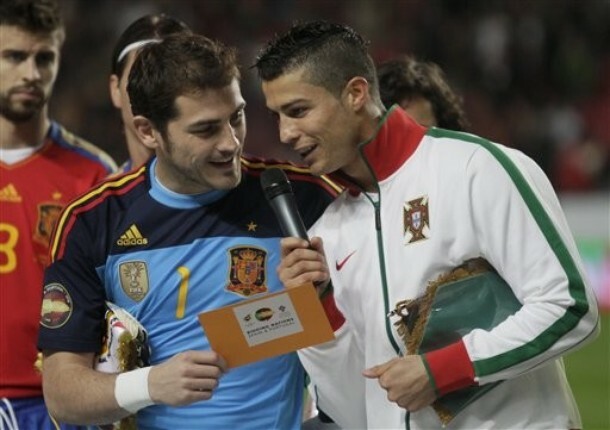 I think it would be grossly unfair to label the Portugese a ‘one man team’ as they have plenty of world class performers such as Pepe, Fabio Coentrao, Joao Moutinho, Danny and Nani, however, their will undoubtedly be a great reliance upon Ronaldo to weigh in with a heavy goals contribution if they are to prove to be a serious threat. Germany will have to be at their best to ensure victory in a game which most people fancy them to win and I think they’ll get the result. I am going for a 2-1 win for the favourites in a closely contested match but I am not totally writing off Portugal who possess a great threat to some of the more fancied sides in Group B. 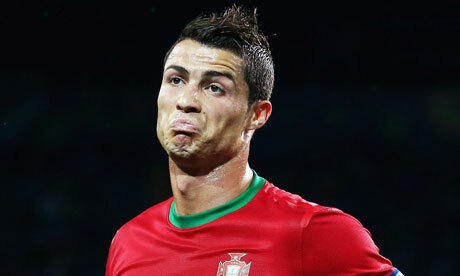 Expect to see Germany control the possession of the ball and Portugal to have real menace on the counter-attack. Having been handed pretty much the roughest draw possible Denmark look like the weakest of the four sides in Group B on paper but as the old saying goes ‘football matches aren’t won on paper’ and the Danes will be hoping that this footballing cliche lives up to it’s billing. They may appear to have a somewhat inferior squad to those of their rival teams in Group B but they actually have a squad made up of some very decent international footballers as well as Christian Eriksen who is one of the most highly rated young midfielders in world football. It is too early to right off Denmark’s chances of causing an upset in ‘the group of death’ but one would have to say that there would be little shame in propping up the rest come the end of the group stages if that were to be the case. One to watch… Christian Eriksen: Eriksen has attracted the interest of many top European clubs over the past couple of seasons with his pace, creativity and ever-developing class clear for all to see. This could be the tournament where he becomes a star. Euros nostalgia: Denmark were surprise winners when Sweden hosted the tournament in 1992. Inspired by Peter Schmeichel’s phenomenal form in goal and the playmaking skills of Brian Laudrup the Danes came through tough group consisting of hosts Sweden, France and England and then defeated reigning champions Holland in the semis before beating Germany 2-0 in the final. Tournament prospects: It is very hard to see Denmark getting out of the ‘group of death’ given the competition but that was also the case back in 1992 when they were victorious. They will probably finish bottom of the group but don’t write them off as they are a very decent side. Over the past few years the Dutch national side have re-established themselves as one of the super-powers of international football and that has been in no small part down to the starring roles of attacking midfielders Arjen Robben and Wesley Sneijder and front-man Robin Van Persie. Another key part of the Dutch’s re-emergence has been their willingness to trial and persist with the inclusion of young and talented players on the international stage. Over the past few years players such as Gregory Van Der Wiel, Klaas Jan Huntelaar, Ibrahim Affellay and Eljero Elia among others have been thrust right into the thick of international football and they have had to develop at a rate of knots in order to meet the standards required. Their blend of world class talent, experience and a wealth of young and talented players has seen them become a real force to be reckoned with and they will hope to go one further than their runners-up finish at the World Cup in 2010. One to watch… Gregory Van Der Wiel: Holland’s squad is brimming with young and attacking talent and Van Der Wiel definitely comes within this bracket. The young right back has attracted the attention of huge clubs such as Real Madrid already and perhaps he is just a few strong performances at the Euros away from sealing such a move. Euros nostalgia: The Netherlands won the trophy in 1988 with a squad containing legends such as Ruud Gullit, Ronald Koeman, Frank Rijkaard and Marco Van Basten who scored probably the best goal ever to grace the final of a European Championship. 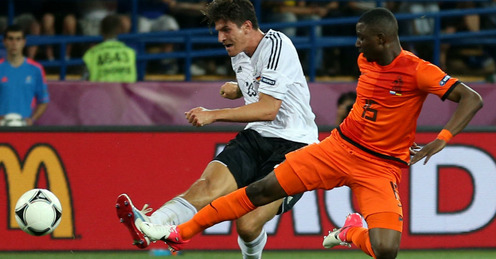 Tournament prospects: The Dutch squad is up there with the best in the competition and their recent qualification and major tournament form suggests that they are prime candidates to win the tournament. However, they are in the toughest group of the draw and they will have to hit the ground running to avoid an embarrassing first round exit. Germany are nearly always key players when it comes to major international tournaments and it appears as if that will be the case once again. If their showing at the World Cup in 2010 is anything to go by then their young and developing squad could well be ready to take the Euros by storm. Since then they have promoted youngsters Mats Hummels, Toni Kroos, Marco Reus, Andre Schurrie and particularly Mario Gotze to the forefront of their thinking and their already young and exciting squad has picked up some even younger and more exciting recruits. If their more recent additions to the squad can impact in a similar fashion to how the likes of Sami Khedira, Mesut Ozil and Thomas Mueller did in South Africa in 2010 then Germany could be the team to watch in Poland and Ukraine. One to watch… Mario Gotze: The diminutive Dortmund attacking midfielder has become a key part of Germany’s full international squad having graduated from the youth ranks since the World Cup in 2010 and he looks set to have a major impact in his first major competition for the national side. Euros nostalgia: Having overcome England on penalties on their own turf in the semis of Euro 96, Germany went on to inflict defeat on the Czech Republic in the final and that remains as their most recent major tournament win. Tournament prospects: Armed with a fantastic squad bursting to the seams with potential Germany could definitely go all the way and win this one. The bulk of their squad is made up of Bayern Munich and Borussia Dortmund players and if they can re-produce the domestic form shown by Dortmund and the European form of Bayern then they will surely rival the likes of Spain. They may have a tough group but I think they will top it. Over the past decade Portugal have often shown the worst of themselves in qualification for major tournaments by scraping through groups which their capable squads should have been more than able to deal with but when it has come to the big stage they have a decent record. They have managed to get out of the group stages in each of the last four European Championships and in amongst this record they should really have picked up the trophy in 2004 when they lost out to shock winners Greece on home turf. It is rough on Portugal that they have been drawn in a group that contains two of the best sides in the world as they would have looked a decent bet to go through in any of the other three groups but don’t rule them out of contention in Group B just yet. At their disposal they have an experienced and talented back line including Real Madrid’s Pepe and Fabio Coentrao, a versatile and energy-packed midfield including the likes of Joao Moutinho of Porto and Raul Meireles of Chelsea, and, to top it off they have one of the fiercest looking attacking contingents in the competition with the likes of Nani, Quaresma, Varela and Helder Postiga providing able support to the tournament’s best player in Cristiano Ronaldo. One to watch… Cristiano Ronaldo: Off the back of his best season in La Liga to date (and that’s saying something!) the eyes of the whole tournament will be on Ronaldo as he hopes to set a captain’s example and inspire his side to qualify from the tournament’s toughest group. 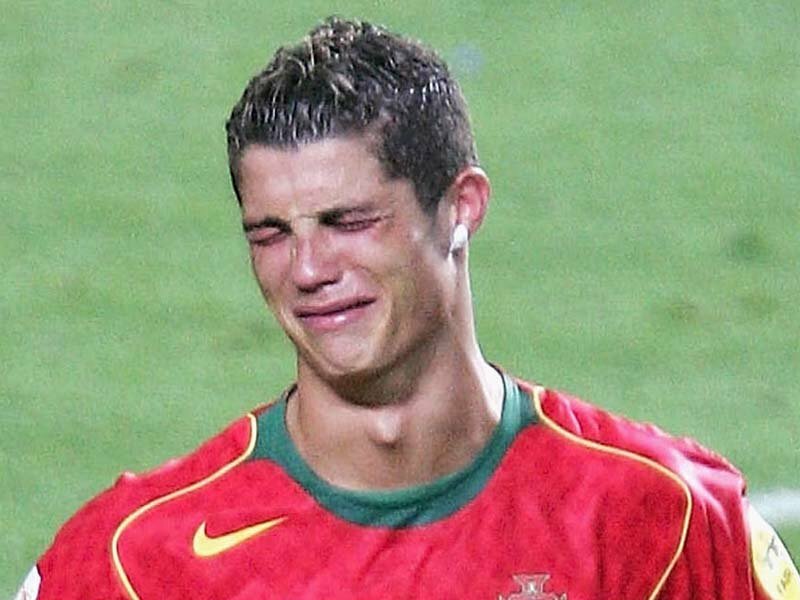 Euros nostalgia: The football loving nation of Portugal was left devastated by their side’s failure to defeat Greece in the final of Euro 2004 the tournament which saw their star player of the moment, Cristiano Ronaldo, take his first steps in a major international tournament and saw their former star man, Luis Figo, play in his final European Championships. It is nearly impossible to predict the outcome of this group given the calibre of the teams and the individuals on show but it is hard to look past Denmark being the bottom side. I don’t think they’ll be whipping boys by any means and I expect them to push each of their opponents really hard but ultimately I think their efforts will prove a little futile. Given that it is ‘the group of death’ it means that one of the tournaments stronger sides will have to take an early bath and face the indignity of a first round exit. I don’t quite know why I think this will be the case but I have a feeling that the Netherlands will prove to be the major casualty of the first round and I think Portugal will come second in the group behind Germany who I expect to fare very well throughout the tournament. I think that the winner of the competition will come from Group B and I think Germany look the most likely. For what this group looks set to lack in world-class talent it will almost certainly make up for in ferocious atmospherics. Each of the teams drawn into the first group are notorious for their passionate and at times raucous national fans and it all looks set to kick off. The stadiums that host the Group A ties will undoubtedly be erupting with noise and energy, and the thought of these sides coming head-to-head in one of the biggest tournaments in world football is mouthwatering even if we aren’t to anticipate consistently brilliant football. Without a shadow of a doubt this group must go down as the famed “group of death”. There simply isn’t a weak link amongst the sides (though Denmark are probably the underdogs on paper), and the amount of young and experienced attacking talent on show in this group is very exciting indeed. To think that the likes of Wesley Sneijder, Robin Van Persie, Cristiano Ronaldo, Nani, Mesut Ozil, Mario Gotze and Cristian Erikson will be taking to the field in the same group of the Euro’s is utterly tantalising, bring it on! My Prediction: Germany top the group and Holland pip Portugal to second place. Poor old Ireland. Finally they deservedly qualify for another major tournament and they get the rotten luck of drawing Spain and Italy in their group. Not to mention also drawing Croatia who have been known to perform well on the big stages. This is another exciting group with plenty of exciting young attacking talent as well as the all-round brilliance of the reigning champions Spain who will be hopeful of making it an incredible three straight victories in major international tournaments. My Prediction: Maybe I’m just a romantic but I think Spain will top the group and Ireland will squeeze through to the last eight as well. I think that aside from Spain that this could be the tightest group of the lot which could play into Ireland’s hands. It will be tough but it could’ve been a lot worse from England’s perspective. All four teams in the group will fancy their chances of going through and with good reason. Ukraine the joint hosts obviously have home advantage, France tend to go win or bust in recent major tournaments, Sweden performed well in qualification and England on paper are the best of the four teams. This is set to be another very close group and I just hope that this group stage isn’t as bereft of excitement and quality football as England’s group stage in South Africa. France and England both qualify as they probably should, but I can’t pick a group winner. It is very hard indeed to look beyond Spain winning yet another major trophy, but there are teams out there that could shock them. Germany’s youth will once again be on display and could inspire them to go deep into the tournament and we all know that Holland have a fantastic side, so perhaps these two are the most likely to upset the Spanish. Other major contenders include the likes of England and France but I think that Group D’s two strongest outfit’s are in the middle of tricky transitional periods and that they will both have a greater chance next time around. 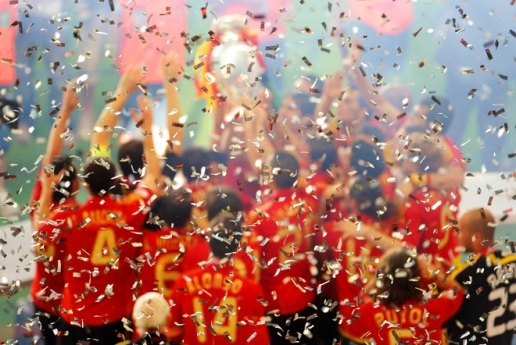 I know it’s boring, but I think Spain will win the Euro’s again. How can I argue against them given the recent history?